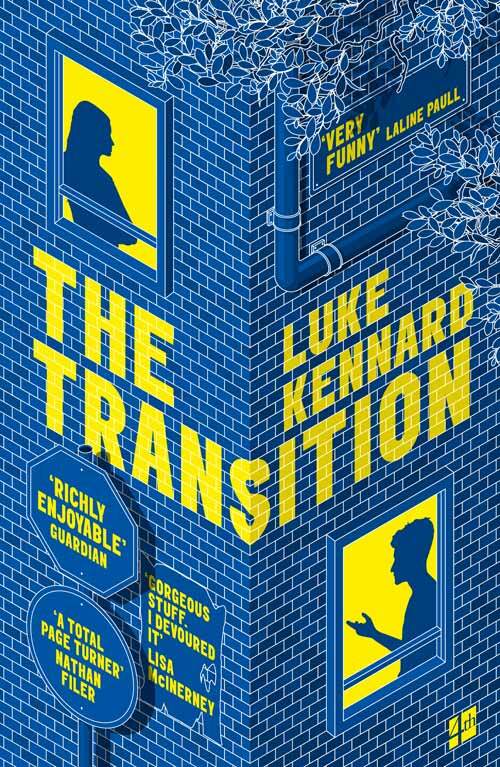 We are delighted to reveal the paperback cover for The Transition by Luke Kennard. It’s Black Mirror meets David Nicholls in this dark and funny novel about love in dystopian times. Longlisted for The Desmond Elliott Prize for fiction, The Transition tells the story of Karl has let his debts get wildly out of control and, in desperation, has sort of semi accidentally committed credit-card fraud. Now he could have to go to prison, so when he and his wife Genevieve are instead offered a place on a mysterious self-improvement scheme called The Transition, they agree. It’s only six months, after all, and at first all it requires is that they give up their credit cards and move into the spare room of their ‘mentors’, Janna and Stu, who seem perfectly lovely.